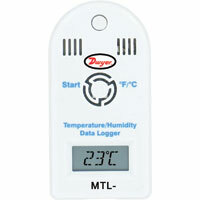 Miniature Data Loggers measure and record data in a miniature size construction. Applies to a variety of applications. Miniature USB Data Logger measures and records readings for temperature or temperature/humidity/ dew point in a wide range of applications. Ideal for refrigeration systems and medical storage facilities.